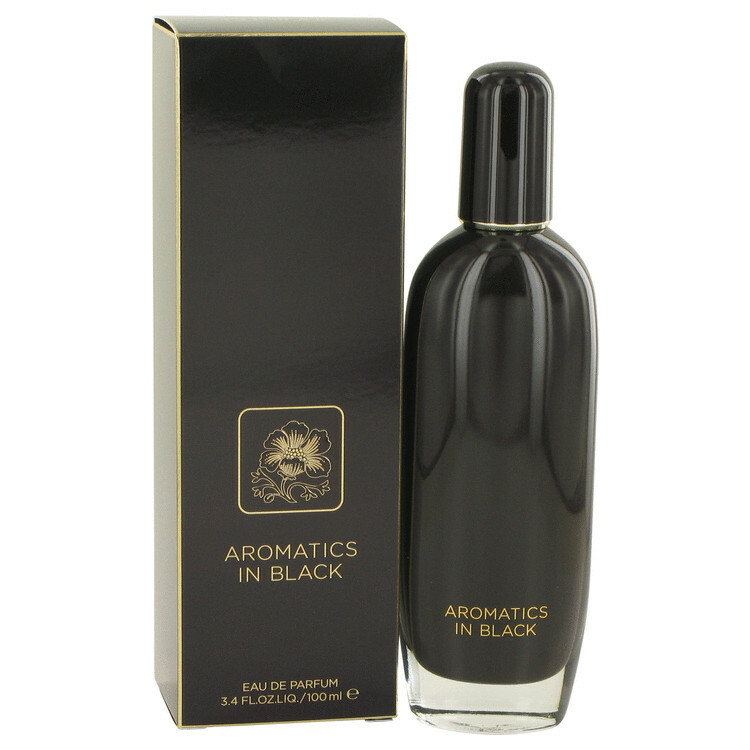 There are 2 reviews of Aromatics in Black. Tested it just on the paper unfortunately. Anyway, if you are nostalgic of classic "White/Musky/Aldehyidic" scents a la Cacharel LouLou, Anais Anais, Biagiotti Roma, vintage D&G Pour Femme, Parah or Dior Addict, Aromatics In Black could bè a more simplistic and actual choice on the theme. Somewhat nothing in common with the giant of its colossal "burning" ancestor (the immortal Aromatics Elixir). Osmanthus, may be freesia, sambac jasmine and cool talky muskiness provide a languid essence rich of "robotic" metropolitan elusiveness. Despite the resinous benzoinic structure and the dark oriental intriguing soul, Aromatics in Black possesses a touch of the talky chyprey diaphane radiancy of left back powdery beasts a la E. Coudray Amber et Vanille or Grossmith Phul-Nana. More over, In Black is anyway a contemporary olfactory twist and you can catch a minty-frosty (vaguely anisic, cool, intoxicating and slightly lipstick) modern vibration connecting this juice to modern glamour-chic renouned creations a la Alien, Ange ou Demon, Very Irresistibile or stuff like those. Urban and wintery this is a juice for a modern dark lady of the "pop/funky" shimmering megalopololi's night out. A beautiful floriental, winterish fragrance! Smooth plum tree and bergamot on top. Jasmine, osmanthus, and neroli middle that's well-blended. Realistically floral. Smoky, smoldering base of myrrh and Tonka bean. A hint of vetiver there, that peeks out now and then. Blurry sweet; slightly balsamic. There are no member images of Aromatics in Black yet. Why not be the first?